The stock market is one of the best ways to invest your money. This is because they have higher returns as compared to investments in real estate or bonds. However, before you benefit from your investments in stocks, you need to find ways to manage this type of personal finance. There are several tools on the market that you can use for managing your investments. This article looks at some of these finance tools. There are so many strategies that you can put in place to achieve the goals you have set for your investment in stocks. This tool allows you to test any new strategy before implementing it. This tool gives you access to various strategies to help you process complex orders. The best thing is that the tool is totally free for you to use. This represents one of the most versatile tools that you can use in your stock investment. This tool can pinpoint credible companies in a particular industry. You will be able to examine valuation ratios, revenue growth, and various types of financial ratios. These tools allow you to maintain a proper balance in your investment portfolio. Screening tools come with a charting capability that allows you to determine the buying and selling levels. This helps you enjoy better accuracy as well as saving time for you. You will get to understand the various concepts underlying different types of stocks. If you need to watch your investment grow, you must have a tool to monitor the portfolio you have set up in a quick and efficient manner. There are various tools that you can use to do this. One of the best feature of such tools is the capability to give you updates in real-time. The updates may come via email or phone. The updates will help you assess your portfolio very quickly and based on facts. Most of the tools come with a news feed. This works by giving regular news for specific stocks. The information will come from various sources such as blogs, websites and other sources. The information you get will be the latest on the market. Predicting the way the market goes is not a guarantee. However, there are tools that will give you an idea of what to expect. These finance tools for prediction use pattern analysis to determine what will happen next. You can use the resulting chart to know how the stocks will rise or fluctuate so that you can make an educated decision. 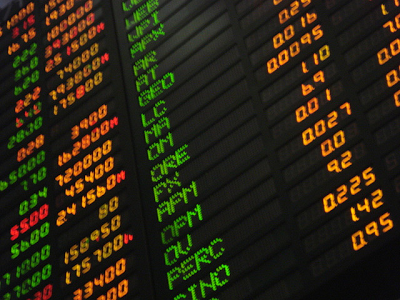 Stock prediction tools are ideal for deciding which type of stocks to invest in. If you have invested in a given type of stock, you need to find a way to know whether it is increasing or not. This will help you know whether to purchase more stocks, keep the one you have or invest in a new type of stock. These tools monitor any change in the stock so that you know exactly when something happens. Finance tools for managing your stock help you stay on track with your investments. You will be able to know how your investment is working out and which step to take regarding your stocks. Joshua Turner is a writer who creates informative articles in relation to business. In this article, he offer tools to manage finances and aims to encourage further study with an NJIT Online Master Computer Science.